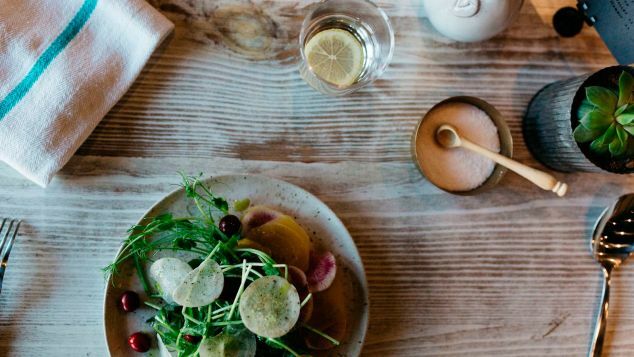 Culinary trails pull together the best of a region’s food and drink offerings, whether it’s to showcase a specific food item or cuisine or to highlight the diversity of local producers. Breaded and duck-filled wu gok or deep-fried wontons can all be found along the Dumpling Trail — a curated list of approximately 20 eateries that are home to some of the freshest, tastiest dumplings throughout Richmond, British Columbia. Tourism Richmond launched the Dumpling Trail in August 2016, highlighting the culinary offerings of British Columbia’s fourth largest city: a suburb of greater Vancouver in which more than half of its 200,000 residents are of Asian descent. The downloadable, easy-to-read map is available from the Visit Richmond website, along with details on the trail’s various dumpling types — from Korean mandu served with kimchi to Japanese pan-fried gyoza — and the best spots to find them. 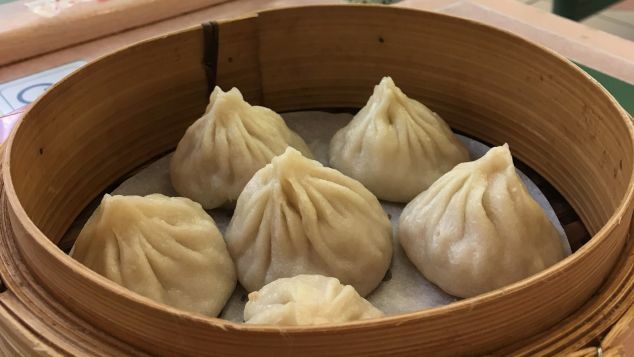 The site also features transportation options and suggested routes, including a “hole-in-the-wall” itinerary that makes a delicious xian long bao stop inside a mall. 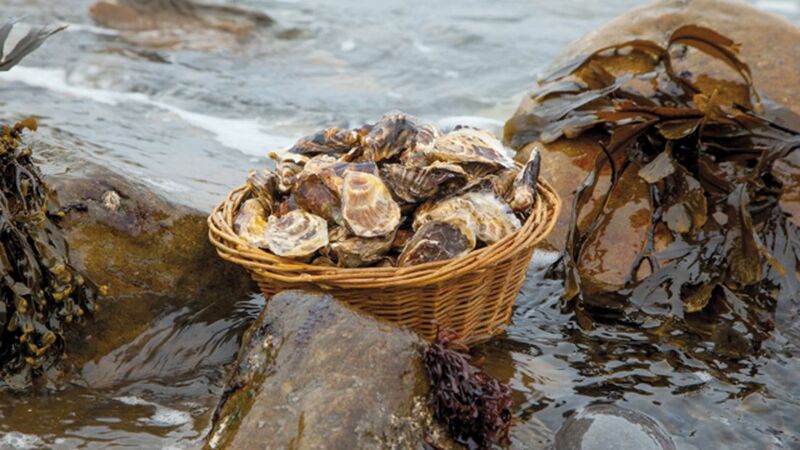 The slogan for northwestern Ireland’s Sligo Food Trail is “the secret’s in the mix,” a reference to this coastal seaport’s wide range of culinary experiences, from hands-on seafood harvesting to jam-making workshops for kids. Trail members include restaurants, local producers, farmer’s markets… even gastro pubs and brewers, all chosen because they provide residents and visitors with a unique insight into the region’s lesser-known areas and offerings. Sligo’s official food trail brochure highlights 30 culinary-focused activities and includes a map that allows hungry travelers to choose their own food trail route. A particular favorite connects Sligo’s bountiful seafood purveyors, so you can sample mussels and crabs caught in nearby Donegal Bay and sit down to a plate of Mullaghmore crawfish. Harrison’s Restaurant in Cliffoney Village even boasts a signature Wild Atlantic Way Platter — a reference to the iconic touring route that winds through County Sligo. Beer cheese is thought to have been first served at Johnny Allman’s restaurant in Kentucky. One of Kentucky’s great culinary legacies, beer cheese is a spread made from cheese, flat beer, Worcestershire sauce, and hot sauce, all flavored with various spices and often served alongside crackers, pretzels, or raw veggies. 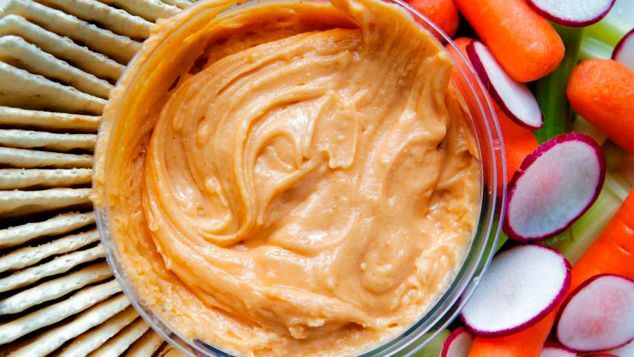 While Kentucky’s Johnny Allman’s restaurant is believed to have been the first purveyor of beer cheese in the 1940s, the one thing known for sure is that the spread has since become a regional signature. No two beer cheeses are the same — something easily discovered along Kentucky’s Beer Cheese Trail, a self-guided route highlighting approximately eight cafes, sports bars, restaurants, and markets throughout the state’s Winchester and Clark counties. Get your “Cheese Log” trail guide stamped and receive a commemorative T-shirt. Finish the form and you’ll earn the chance to become a beer cheese festival judge at Winchester’s Beer Cheese Festival each June. The Neck of the Woods flavor trail in North Carolina’s High Country has a focus on regional heritage. North Carolina’s High Country is part of the eastern United States’s Appalachia region, an area known for its homemade jams, farmstead cheeses, fresh apple cakes, and sour corn. There are nearly 100 businesses marked on Neck of the Woods’ interactive online map, each one color-coded to a particular category (eg. farm-to-table dining; vineyards & wineries), making it easy to create self-guided tours. Highlights include stops like Spruce Pine’s Tin Shed at Soggy Bottom Farms, home to slow-roasted BBQ pork sandwiches and buttermilk, pecan, and berry-filled pies; and Mitchell’s Oak Moon Farm & Creamery, a micro-dairy specializing in small-batch, raw milk goat cheese. There’s a culinary adventure available through the Canadian province of Ontario’s Apple Country with the Apple Pie Trail, a downloadable map marked with 40 stops around Lake Huron’s South Georgian Bay. Each one is associated with the region’s beloved apple growing industry, which dates back to the 1800s. There are country markets, breweries, and of course sweet spots like Collingwood’s Heavenly Cafe, known for its delicious caramel apple cinnamon buns — an Apple Pie Trail must! 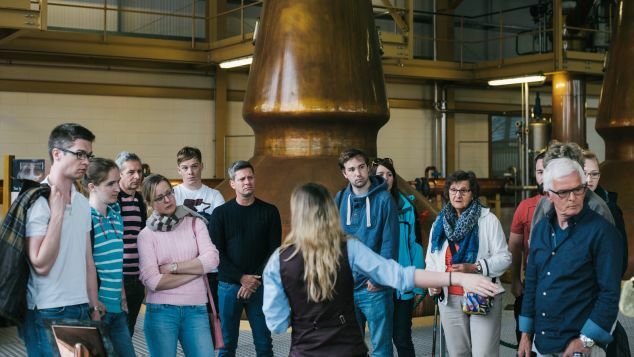 Scotland’s Malt Whisky Trail offers an opportunity to discover the country’s original whisky through a bevy of tastings and tours. Malt whisky — traditionally made with malted barley, but sometimes rye — is the pride of Moray Speyside, a seaside expanse of forests and foothills that’s home to the largest concentration of malt whisky distilleries on the planet. Visitors can talk with master distilleries, sample recipes that have been passed down for generations, and experience the ancient craft of barrel making. There’s also the option to drop in on a series of world-famous whisky bars along the way. Beer may be a way of life in Germany, but the country is also home to the world’s first established wine trail — a nearly century-old established route that sheds light on such popular German wine varietals as reisling, spätburgunder (pinot noir), and weissburgunder (pinot blanc). 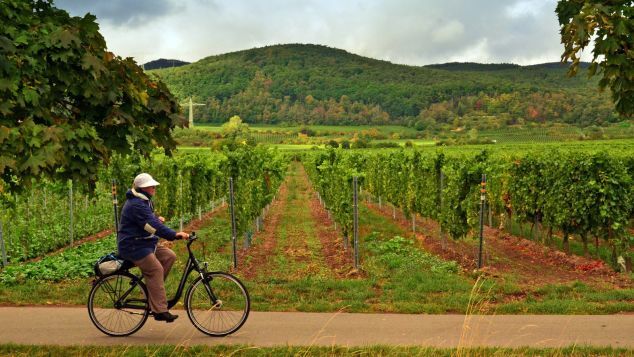 Stops include charming wine villages such as Bad Dürkheim, home to Heidelberg Tun — the “world’s largest wine barrel”, and Edenkoben, where you’ll find the Museum of Viticulture and Urban History and a bevy of wine festivals throughout the year. 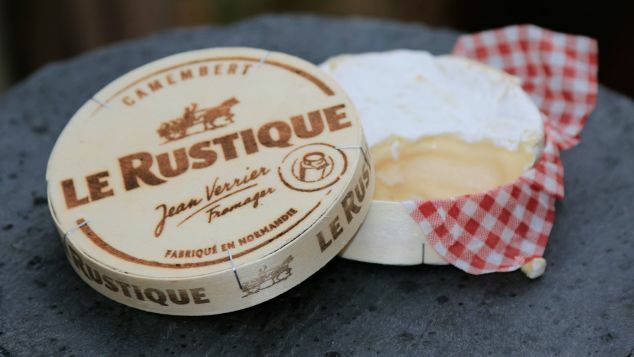 While France has no shortage of fromage, for a detailed exploration of one of the country’s most popular (and apparently, disappearing) cheeses, Normandy’s Camembert Route can’t be beat. It’s 56 kilometers of fruit-filled orchards and tiny villages like Ticheville and Crouttes, where Marie Harel — the late 18th-century “inventor” of Camembert and matriarch of a Camembert making dynasty — was born. Also worth a look: the family-operated Graindorge Fromagerie in Livarot, a more than century-old dairy that produces Normandy’s four protected designation of origin (POD) cheeses: Camembert, Pont L’ Évêque, Neufchâtel, and Livarot. Whether they’re custard-filled, chocolate-covered, or sprinkle-topped, donuts are — quite simply — delightful, making it no surprise that the Donut Trail, a 10-stop culinary trail in Ohio’s Butler Country, is so popular. This interactive, sugar-fueled route winds through the state’s southwest corner, connecting donut spots, pastry shops, and bakeries like Milton’s Donuts, home to Fruity Pebble donuts, and Kelly’s Bakery — serving up maple-bacon Long Johns (a name that refers to the donut’s bar shape) — along the way. If you complete all 10 stops on the official Donut Trail Passport, you’ll earn yourself a Donut Trail top. There’s no set time limit, but it’s best to get an early start, as some spots sell out quickly. The Mississippi Delta is probably not the first place that comes to mind when you think about hot tamales, but it’s become a regional standard — right alongside fried catfish and meringue pie. Some believe laborers arriving from Mexico brought them to work in the cotton fields; others think they date back to the area’s original Native Americans). Whatever the case, they’re a part of the Delta’s culinary heritage: a smaller, spicier and more grit-textured version of their Latin counterparts, often simmered but sometimes fried. The Southern Foodways Alliance — an institute that celebrates the many food cultures of the American South — has put together an online map detailing The Delta’s Hot Tamale Trail, detailing well over a dozen tamale vendors. These include Doe’s Eat Place, whose proprietor, Dominic Doe Signa, Jr., still makes beef tamales using his father’s original recipe from 1941; and Abe’s Bar-B-Q, where tamales are served with beans, coleslaw, and bread and available by the dozen. 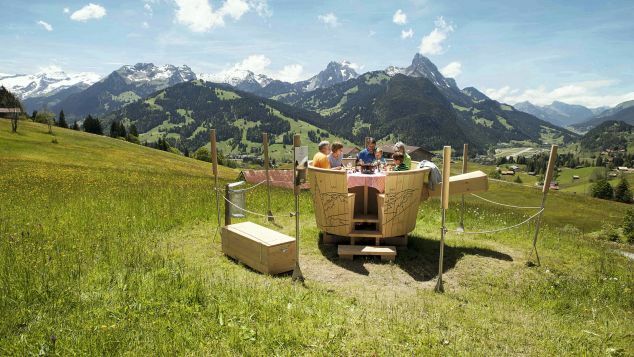 Gstaad’s Fondue Land trail involves hiking to a mountain top and eating fondue in a fondue pot-shaped table. For the ultimate Swiss experience, there’s Gstaad’s Fondue Land trail. This multi-use route combines stunning outdoor scenery with one of Switzerland’s great national dishes: swishy, cheesy fondue. Don’t worry if the huts are occupied — you can just set up in the open, savoring fresh mountain air and spectacular alpine views.